The firing went well. The witness cones said we missed a pure ∆04 by about 25°F, give or take. That’s about par for the kiln. The ware all came out looking good – no cracks, explosions or other oddities – just a bunch of nice bowls with a nice ring tone. 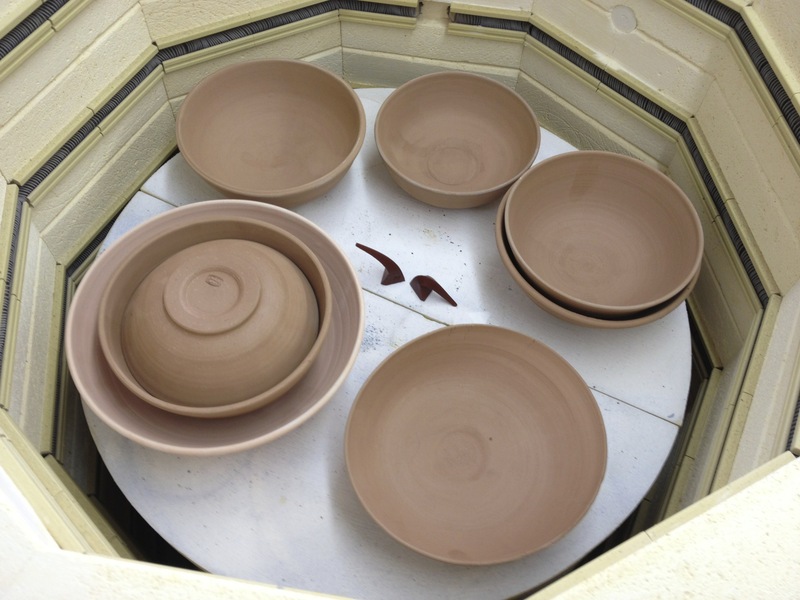 Usually, a bisque load is celebrated with a flurry of glazing and a couple more firings. This time, it’s back to the wheel to make make more bowls. I still need a dozen or so for the King’s Cup 8 winners. I want to glaze and fire all the King’s Cup pieces together. Other events and Saturday mornings at the Lenoir County Farmers Market need more stuff, too. I think I finally worked out how I want to tackle the bird bath project Christian requested. This is exciting and should be fun to work though. Of course, progress will be posted here.